This is a book about what citizenship—good citizenship—means to you, and to us all. Empowering and timeless, What Can a Citizen Do? 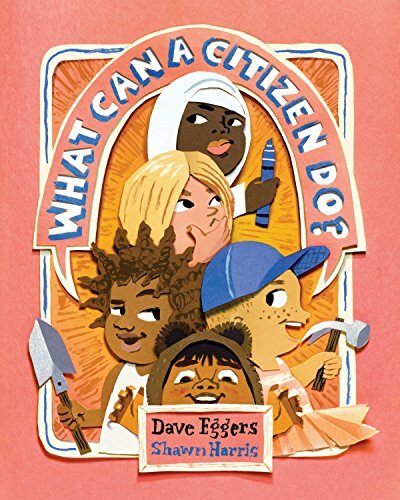 is the latest collaboration from the acclaimed duo behind the bestselling Her Right Foot: Dave Eggers and Shawn Harris. This is a book for today's youth about what it means to be a citizen. Across the course of several seemingly unrelated but ultimately connected actions by different children, we watch how kids turn a lonely island into a community—and watch a journey from what the world should be to what the world could be.